This article shares our 12-step journey after a little preamble on the opportunity for organizations. Modernize and change the game. This means leveraging “cloud-born” approaches, controls, tools, capabilities, and services that are simply not available or feasible on-premises. This approach isn’t new – many IT analysts recommend multi-mode IT for handling new workloads in the cloud, that leverage new approaches and capabilities (e.g. platform-as-a-service (PaaS) and software-as-a-service (SaaS)) versus applying legacy patterns and practices to the cloud. What started as a “12-step program” to modernizing IT, would later become a journey map. We were informed that modernizing IT shouldn’t be based on a “recovery model” so we simply devised the following 12-step journey map instead. This journey map applies to virtually any cloud workloads such as infrastructure as a service (IaaS), PaaS, and SaaS and would apply to any cloud vendors as well. 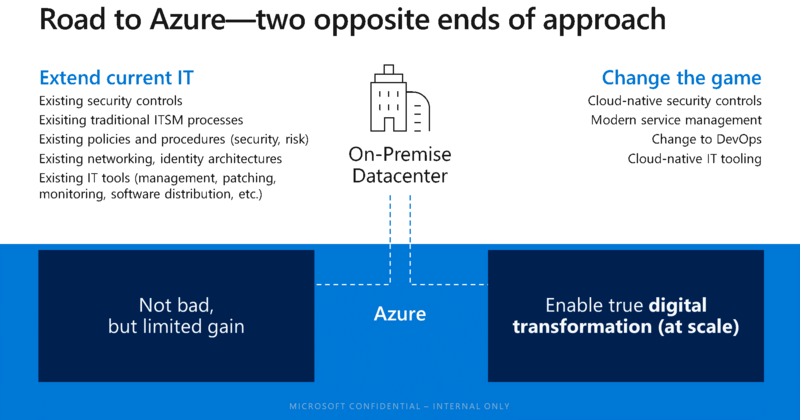 And, because the cloud concept is available on-premises from solutions like Azure Stack, many of the same principles are already incorporated and can be applied there too. Failing to seamlessly integrate IT systems across the DevOps toolchain where release, incident/problem (defect), event, request (enhancements), and feedback loops are easily integrated between AppDev team tools and operations/support tools. 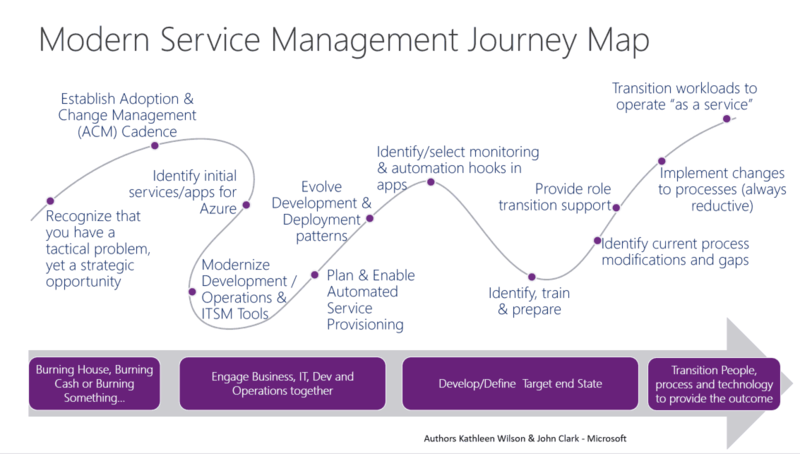 We believe following this Modern Service Management journey map helps to prevent and/or mitigate the failures and optimizes the successes. The following summarizes the twelve steps and provides useful nuggets of information and takeaways you can apply immediately. There is a strategic opportunity for IT to become a valued part of any business or institution, a broker of innovation vs. a broker of servers or services, but it must modernize to do this. In other words, IT as a function isn’t going the way of the dinosaurs. But IT needs to evolve and modernize. Changing the attitudes and behaviors of the IT organization, as well as employees of the company, is probably the most difficult challenge to modernizing IT. There are so many barriers to change: willingness to change, fear of change and the unknown, fear of losing relevance and impact, job insecurities, or changing dependencies. Any approach should thus start with the “why”: why modernize, why change, why all the impact? The reasons are as old as time from a business perspective: increase velocity, increase quality, decrease cost, decrease lead times, improve productivity, and/or increase agility. And it’s important for people to get behind and believe emotionally in these business goals. Even if this means they need to change for the goals to be realized. This effort shouldn’t be underestimated. Formalize change and adoption as a minimum for any modernization – technology is becoming easier and more available to everyone outside of IT. It’s going to be a far greater people change than a technology change. While you can transition existing applications to the cloud without modification, often referred to as “lift and shift,” you won’t realize as many benefits continuing to operate them as has been done in the past. With “lift and fix,” applications are typically modified or extended using cloud native services and capabilities, while “refactoring” an application often means re-engineering most of the application to use cloud services. Sometimes applications can be provided through PaaS or SaaS solutions and don’t have to be developed at all (they can be “configured”). As first starters, we often suggest net-new applications that can take advantage of cloud synergies not available on-premises. Many new organizations have had the benefit of being “cloud-born” from the get-go. They don’t have to build a data center and/or purchase hardware and can focus more resources on their business objectives. Existing organizations do not have that luxury. Therefore, selecting new applications that take advantage of cloud services will be quicker to architect, develop, deploy, operate, and – most importantly – use. The goal of most cloud services is to reduce manual effort in development, support, and/or operations. Selecting the application is only the first part. A service map, or application dependency map, should exist or be created for the application so that integrations, data sources and destinations, customers, users, and infrastructure dependencies are known. This helps to select the appropriate cloud services and approaches when they are applicable. Modern Service Management represents a consolidation of tooling and the end of siloed islands of information within the IT organization. While traditional ITSM tools have release management and sometimes project management, most of the time these are not the tools AppDev teams use. For Agile or Scrum approaches to application development, app teams leverage tools like Microsoft Visual Studio Team Services, Jenkins, and Bitbucket for release management. Why? Because they don’t just want to manually track releases as defined in ITIL. They want automated continuous integration/continuous deployment (CI/CD), they want automated testing, they want support for automation and infrastructure as code, and they want to leverage source code control, and most traditional ITSM tools simply do not support this capability. These release management tools tend not to work well for ITSM workloads either. They aren’t designed to support or be verified for ITIL (nor do they need to be). So there always tends to be a gap, and islands of information, between AppDev teams and operations/support teams. Automation is often an after-thought, or “subsequent phase,” when IT organizations seek modernization. But automation should be core to modernization. All cloud services are built on automation. A cloud service provider cannot be profitable with manual, human driven effort. Automation therefore should be a key core strategy, and there is nothing wrong with multiple automation engines. But a framework should be established for which workloads make sense for which automation platform. Manually provisioning resources in the cloud destroys the value proposition the same way it has with private cloud and virtualization. I believe that private cloud often failed to achieve its original objective – not technically, but from an implementation perspective, because organizations didn’t embrace the concept of private cloud, primarily just achieving virtualization with a manually-driven effort overlay. As Modern Service Management is based on Agile and DevOps, this requires a change in development, deployment, and operations practices. Regardless of whether you’re an AppDev shop or deploy commercial software packages, there are Agile/DevOps-based approaches to releasing applications. “It is time to stop lying to ourselves. What we’ve been doing is not working. Our infrastructure is a mess. Our application deployments are a nightmare. We spend our nights and weekends fighting fires of our own making. We put more effort into shifting blame than improving our environments. Documentation lags because of last minute changes or ever-shifting deployment targets. Convoluted change management leaves critical, important tasks waiting for urgent, less important work. We need to find a better way, but we are not alone. Over the past few years, research has been ongoing into the state of IT and the impact of these wacky “DevOps” ideas. Well, the data is in and it doesn’t look good for traditional IT processes. 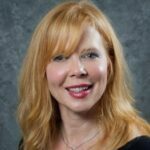 Per the “State of DevOps Report” and the “DevOps and the Bottom Line” studies and data analysis performed by Dr. Nicole Fosgren, IT performance is a key factor in an organization’s profitability, productivity, and market share. IT can be a competitive advantage, but it requires a mind shift and process shift from the traditional way of doing things. What does this mean? Organizations that are still encumbered to legacy, ITSM-heavy release and change management processes are falling behind. They’re failing their businesses. As virtually all services and applications in the cloud have telemetry and are monitored, applications built or deployed by organizations should incorporate health telemetry, as well as having monitoring and automation built in. This is poorly lacking from many legacy on-premises solutions today. Automation teams and monitoring teams (or Platform teams) should provide the monitoring and automation service, but both the monitoring of logic and workflow should be defined and implemented by the DevOps and Feature teams. This allows monitoring and automation to be incorporated as part of the release pipeline. How you monitor is as important as what you monitor. Quality should be first and foremost. Quality as defined by the customer. Processing a transaction, posting to a ledger, and even sending an email are all testable. They’ll be tested when the application is being developed or implemented (COTS), so why not incorporate test scripts into monitoring? We ask customers: “If you take security and service management misperceptions, perceptions, and realities off the table, what is left that keeps you from moving to the cloud?” There really isn’t much left other than readiness. The premise of DevOps is that teams are formed across technologies and across the organization with a greater focus on skills and less on specific roles. Everyone cannot attend one-week off-site training courses, but there are so many options today that mitigate this need. Most DevOps topics are available for free or minimal charge to learn. This includes coding and development, automation, release management, sprints, Epics/themes/user stories, etc. You don’t have to be “certified” in DevOps to undertake DevOps, but experience and a willingness to experiment and make mistakes is necessary. Simply incorporating the customer and operations and infrastructure with application and development teams doesn’t require consulting or training. Aligning releases around a release pipeline doesn’t require biblical changes to your organization. Most automation platforms also have information and instruction available online. Start to identify what can be automated and automate it. Step 8 addresses the knowledge component of change in the Prosci® ADKAR®model mentioned previously. Service desk. It should evolve from the “ticketing” fetch and forward concept. For starters, interactions should start via a self-service portal, or better yet, with artificially intelligent chatbots that are integrated into applications where possible. Service desk/support teams evolve to more of a readiness and stewardship role and can perform diagnosis to help people help themselves. Change management. With team autonomy, iterative change is established as part of a release pipeline to inform/notify change management, so support teams are aware of when and what changes are implemented. Support teams are part of the platform and DevOps teams, so changes should be expected with no surprise. Release management. Align releases to the release solution of the AppDev team. It becomes the notification component and tracks from the AppDev team release solution. If rotating teams associated to releases participate in support (the software factory concept), support team membership updates should automatically include resources from the AppDev team supporting a specific N or N+1 release in the modern ITSM solution. Problem management. Here there should be multiple integrations between defect backlog and the known error database which should be automated. Other application release solutions and ITSM solutions will have similar capabilities as well. Like major Enterprise Resource Planning (ERP) system transitions of the past, those involved in making the future happen still have work that needs to be performed using the legacy solution. To address this, plans should be put in place to provide fill-in staffing, remediating the work to an outsourcer, or eliminating the work altogether. The point here is that when transitioning to modern, new workloads this should be done by those who will own and drive it in the future. If an organization brings in an outsourcer for the new, and relegates legacy to its employees, that means the organization is investing in switching to an outsourced IT model as more workloads transition to new model. A good use of outsourcing is having the outsourcer maintain the legacy while the IT organization transforms to the new. As defined in step 9, where changes to processes are identified, those changes need to be implemented. Step 10 provides resource support to make this happen. This is where executive sponsorship is the most important. Like many steps in the 12-step journey, iteration may be the key to success. Drastic changes to process may not be possible in a single iteration, but if we apply the same agile, iterative approach to process changes, with each sprint comes new flexibility and new capability. This step is the simplest of all. If you’ve done all or part of the prior 11 steps, step 12 is simply the transition of minimally viable products (MVPs) into production. As shared before, this may be for specific new applications in the cloud to learn how to manage and operate. Or, for large migrations, it may be a lot of iterative legacy operations due to lift and shift transition. The key to step 12 is to continuously and iteratively improve towards all of the Modern Service Management imperatives that have been shared before. In the past, required business and IT organizational changes were big and obvious. Today these changes creep up unnoticed and, for instance, if you’re just now starting to work on a digital transformation strategy, then you’re probably already in catch-up mode. Kathleen is an Architect at Microsoft for the Cloud and Infrastructure Management Center of Excellence, focusing on developing solutions for management and adoption of private, hybrid, public clouds, and DevOps. Kathleen’s strengths lie in understanding what is needed to adopt, support and operate solutions either on premise or in the cloud. She has over 21 years of experience in IT and has worked in both IT operations and consulting. Prior to her Architect role, Kathleen was a consultant for Microsoft Consulting Services Canada who focused on assisting customers with the adoption of Microsoft products, service management, and private cloud. Kathleen leads a worldwide community of peers who have transformed traditional ITSM into modern service management. Kathleen achieved her ITIL Foundation certification in 1998, and is currently an ITIL v3 Expert and is actively tweets about modern service management to get people to rethink traditional service management fundamentals and make them more modern and actionable with enabling technologies. Kathleen co-authored a MS Press book, Optimizing Service Manager, and was a contributing author to the System Center 2012 Service Manager Unleashed book. She is an Edutainer and has spoken at many internal and external Microsoft/industry events.